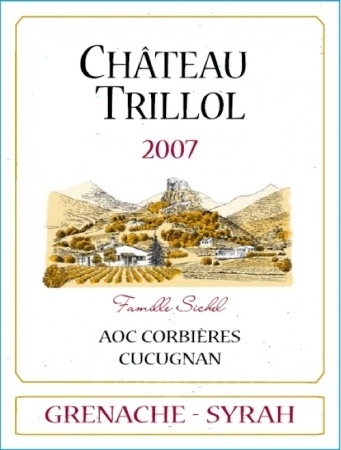 This 60% Grenache-40% Syrah medium bodied blend from the Corbières Appellation in the Languedoc-Roussillon offers a rustic bouquet of clay, eucalyptus, musk, barnyard and rugged oak while lending flavors of mild, semi tart blackberry pie and course black pepper. 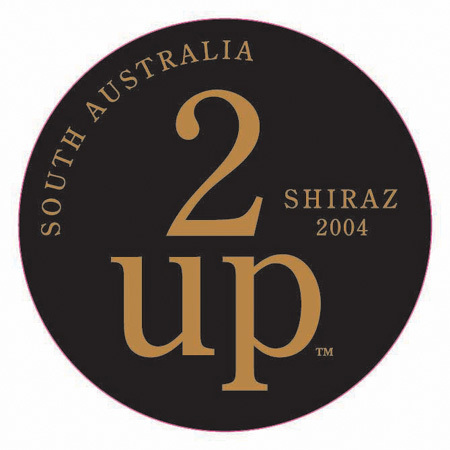 I am on the fence with this one and did dislike the huge amount of sediment that came along with this wine. Keep Drinking and Keep Believing. After starting out my day at The magnificent Santa Barbara Shellfish Company, I made my way to Ancapa Street finding the embracing Margerum Wine Company. From the minute I entered The Margerum Wine Company’s tasting room, I had the feeling this was going to be the fantastic afternoon as the combination of Santa Barbara’s angelic vibe of solace and perfect weather intertwined with the thought of tasting some great wines, sounded like a one way ticket to Heaven. ” How’s it going today?” I was greeted inside Margerum Wine Company’s Tasting Room by a wonderfully pleasant, laid back Wine Guru who immediately made me feel welcome, attentive to my every need. 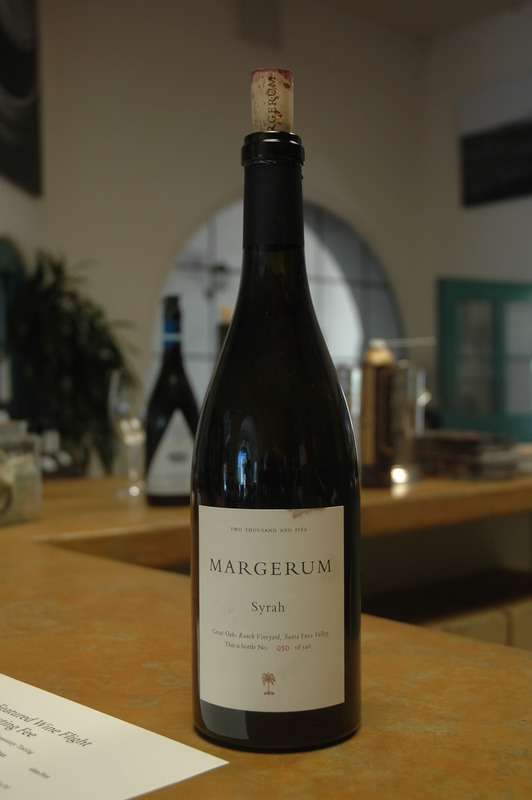 After a couple minute taking in our pleasing surroundings, I chose to have a glass of the Margerum 2005 Syrah, being that I had heard that The Rhone Varieties were Santa Barbara’s forte. This by far has to be one of the best American Syrahs I have had with rounded concentrated offerings of Boysenberry and Blackberries, smooth mild tannin, and undertone of rich earth with a tinge of black licorce. So refreshing to taste an American Syrah that doesn’t taste young and green; The only thing I could have wished from this wine was it holding a little bit firmer in the mid palate and to have had a longer of finish, but nonetheless, a very pleasant wine with wonderful integrity. 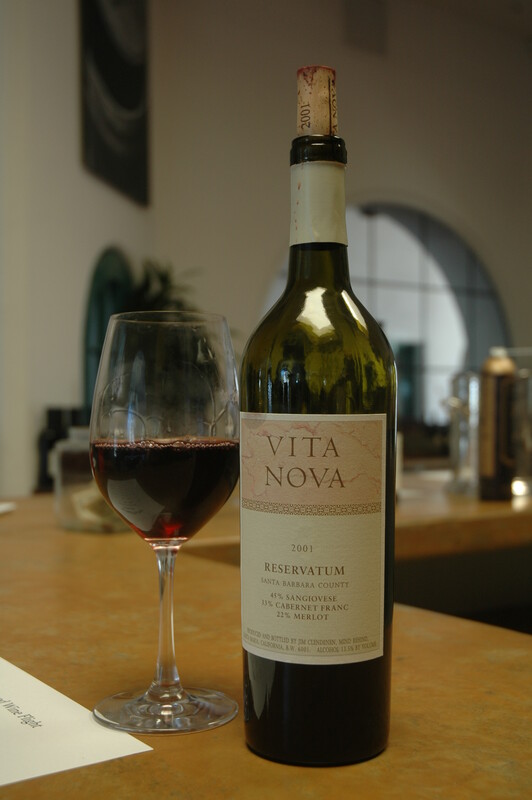 Starting to feel the part and let all of my worries fall by the wayside, I made my way to my second selection; A Modern Day California Super Tuscan 2001 Vita Nova Reservatum consisting of 45% Sangiovese, 33% Cabernet Franc and 22% Merlot. For someone besides the Italians to attempt a blend like this seems like a suicide mission, but to my surprise, the wine comes off quite well with a pleasing rustic bouquet of dried earth, baked cranberries, red cherries and raspberries. My only knock on this wine is how rugged the tannin was and unfortunately long term, i don’t feel it is the type of tannin that will soften and smooth itself out entirely. Granted, i wasn’t able to walk out of Margerum Wine Company with case upon case of all of their fine wines, but i did walk out of Margerum Wine Company feeling fullfilled, happy, enlightened and treated first class. 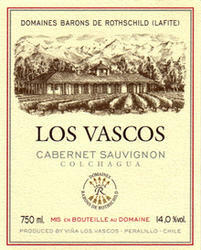 Just wanted to send out a shout about the Barons De Rothschild Los Vascos Cabernet from Chile. This wine for an everyday wine at $9 a bottle is stellar. Medium bodied with a hint of soil and consistent flavors of red and dark cherry, this wine is a standbye for me and never disappoints. Keep Believing and Keep Drinking. 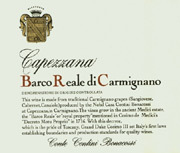 Got this medium bodied, moderate tannin wine at a shop in Goodyear, AZ and am confused about a specific detail. 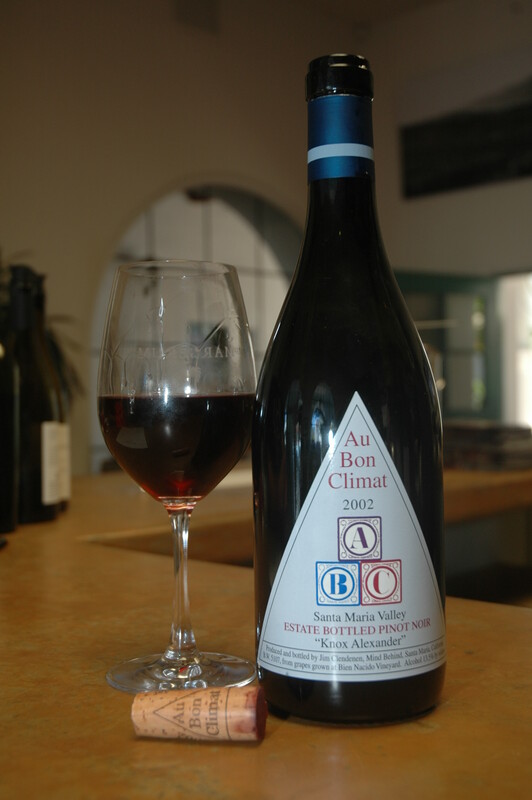 Even though this wine is referred to as a ” Cotes Du Rhone” with a blend of 65% Grenache, 25% Mourvedre, and 10% Syrah, why does the cork lead me to believe this was bottled and has something to do with Appellation Vacqueyas? Kind of conflicting being that Vacqueyas has been graced it’s own Appellation since 1990 and is no longer regarded as a Cotes Du Rhone and is more heavier Syrah based than Grenache based? 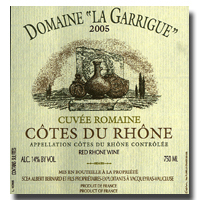 Nevertheless, this consistent Cotes Du Rhone has subtle hints of lavender, unsweetened black licorice and a nice frequency of subtle damp earth. A sturdy Cotes Du Rhone even with all the conflicting, ambiguous information from the cork and overly worded label. Keep Believing and Keep Drinking. 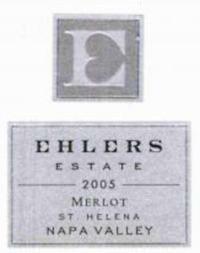 Scored this bottle of 2005 Ehler’s Merlot from St Helena for $20 and was absolutely blown away by what i found. With about 15% Cabernet Sauvignon and 5% Cabernet Franc, this full bodied Meritage blend with a quick zip of herbaceousness in the front pallet is not for the faint hearted. 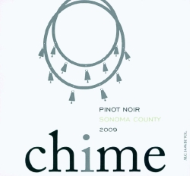 Chewy and filled with flavors of dense cherry, raspberry and blackberry, promising firm smooth tannin in the mid palate that will be perfect in another 2 years and a perfect hint of right bank earth on the nose, even with a just semi memorable finish, this wine for $20 is absolutely massive! Keep Believing and Keep Drinking. 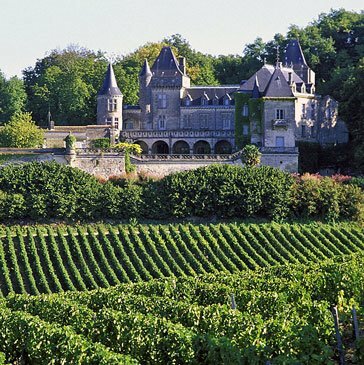 Back in the Summer of 2006, i was blessed enough to be able to travel Overseas for 3 months and one of the stops me and my Attorney James ” Mick” Ingram made after a reputable recommendation from the “Bar a Vin” in the city center of Bordeaux, was Saint Emillion. 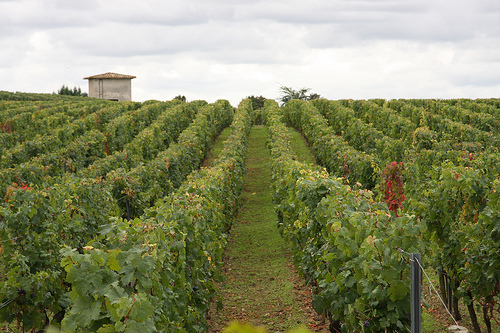 Located on the right bank of Bordeaux, Saint Emillion is such a place of solace and purity. As we headed off the train and up a gravel road surrounded by majestic vineyards, clay and limestone, my Attorney and I proceeded to taste wines with such depth, balance, and pristine expressiveness you mine as well have labeled them ” The Nectar from The Gods.” Not to mention the best Merlot I have ever indulged in, Saint Emillion as well had some of the most expressive Cabernet Franc i have ever had the pleasure of being introduced to. Such a shame that because of a certain movie; ( Not mentioning any names.) 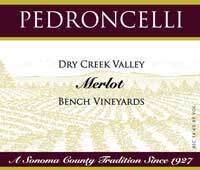 Merlot has gotten such a bad rap in the United States. Saint Emillion wines are some of my favorite wines ever! Keep Believing and Keep Drinking.